I reside near downtown Joplin, MO and dearly love my community. 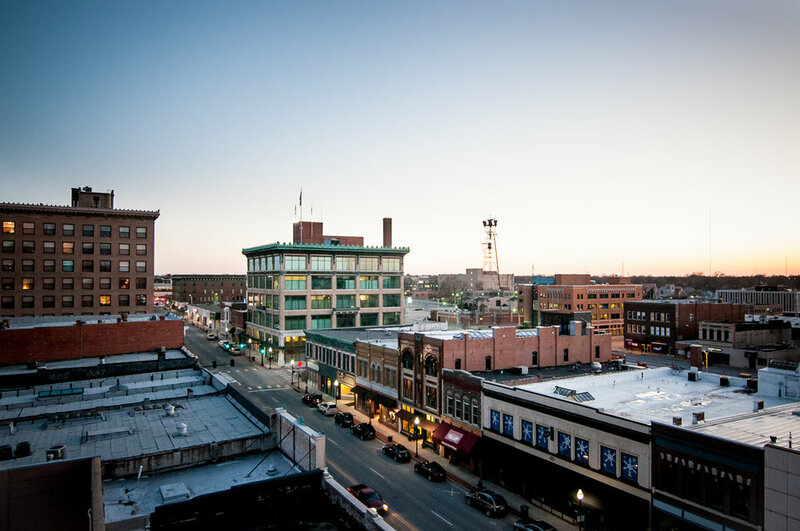 Through side projects and ongoing collaborations with the Joplin CVB, the Downtown Joplin Alliance, Spiva Art Center, Joplin Chamber of Commerce, and many individuals in this quirky town, I've photographed Joplin... a lot. After quite a few requests for image licensing rights, I decided to set up this page as a sort of "stock library" of Joplin pictures, available for purchase. Some photos are of subjects and views that residents know well... other are more abstract photos or locations meant to help residents see the town in a new way. I'll be expanding this library more and more, including other surrounding areas (Webb City, Carl Junction, etc), in the near future. If you have questions or would like to know pricing on prints or digital image licensing, e-mail hi@marknphoto.com! images from heart of the city of Joplin. Parks, schools, trails, memorials, and more. Highlights from Webb City Missouri- sculpture, downtown, highschool, trails and more. a variety of images on or near Main Street Joplin- day and night scenes.